In this year, I will start a new series of “Sample application Tutorials”. In this series of tutorial, a sample case study application will be built with different technologies. In this tutorial, sample JSF application with Spring Data MongoDB will be covered. 2. Create a new product with different category. 4. Delete selected product from the enquiry screen. JSF is used as presentation layer technology in this sample application. PrimeFaces is a one of lightweight component for enhancing the JSF UI. Frontend interaction is controlled by JSF backing bean in this layer. Spring data MongoDB component is used. 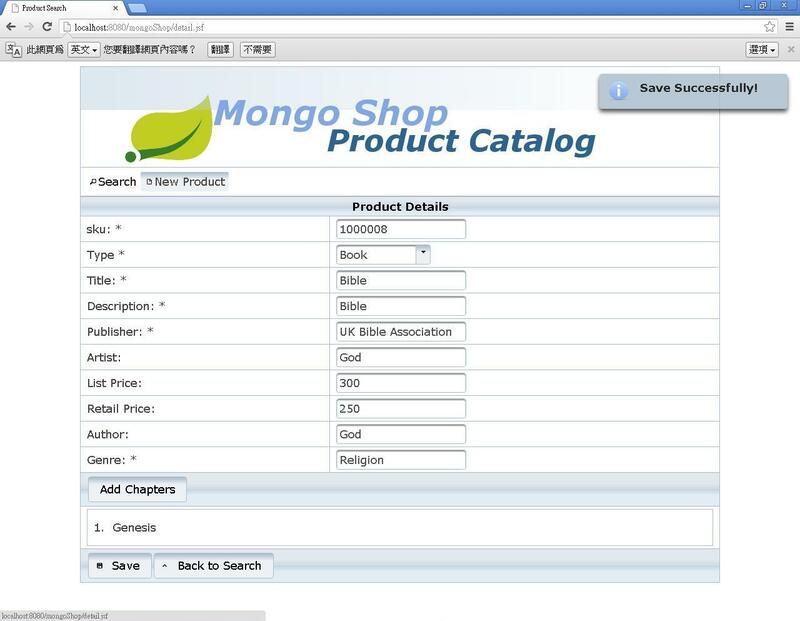 It provides integration with the MongoDB document-oriented database. 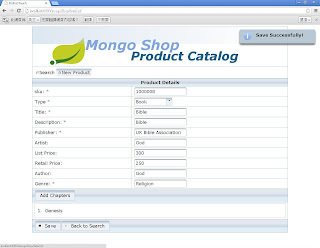 It provides MongoTemplate so that MongoDB operation could be performed easily. Moreover, Spring repository style data access layer could be easily written with spring data MongoDB.